ENCOUNTER THE 7 CHURCHES – 4 day / 3 night tour – This tour brings you back in time to see the very places mentioned in the Biblical book of Revelation. Each of the 7 churches mentioned in Revelation are located in Turkey. This trip will allow you to experience both the new culture in these current cities as well as the ancient sites that are continuously being restored, with new discoveries often being made. We have set up this trip so that you can enjoy the beautiful sites and encounter the traditional Turkish culture, all with the comfort and knowledge that you are in the good hands of our experienced guide. This trip will also take you to one of Turkey’s most spectacular landmarks, Pamukkale, the “cotton castle”. Marvel at the amazing way that this natural wonder has been formed over the centuries. Today you will be picked up from the Izmir Airport. 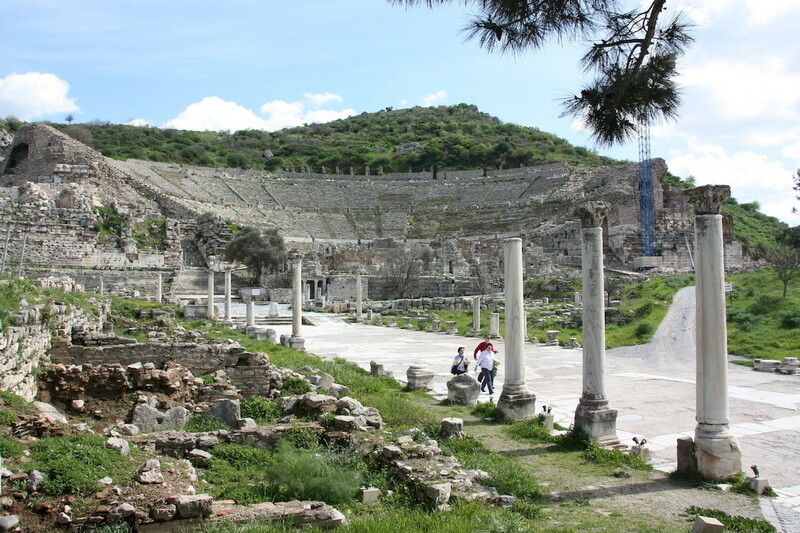 From there, we will travel to visit the unforgettable remains of Ephesus (Revelation 1:11:2:1-7 Acts 18:19-28:19), including the Terrace Houses, Ephesus Museum and the Basilica of Saint John. After this full day of historical exploration, we will head to Kusadasi for a delicious dinner and a relaxing evening at our hotel. After breakfast our first stop will be the ancient church of Smyrna. 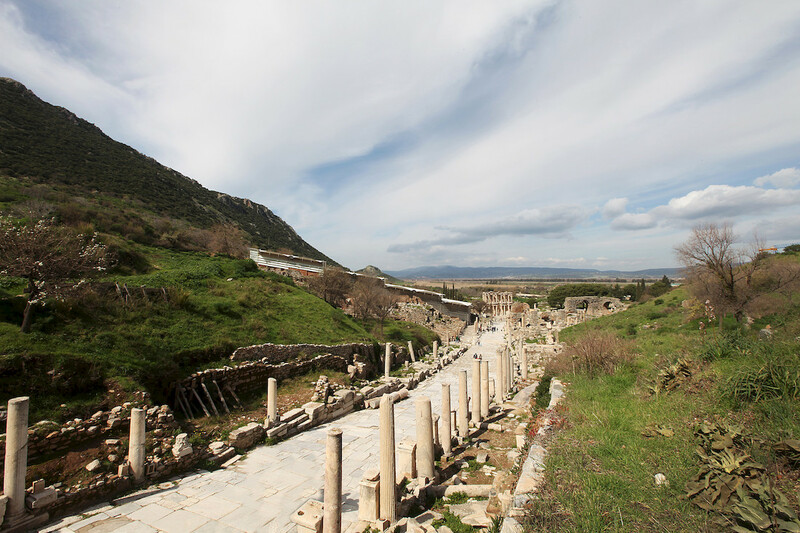 Then continue to Pergamon (Revelation 2:12-17) to visit the acropolis, Asclepion and Red Basilica. After breakfast we will visit Akhisar, ancient Thyatira (Revelation 2:18-29) which was a commercial and agricultural center on the highway between Troy and Sardes. 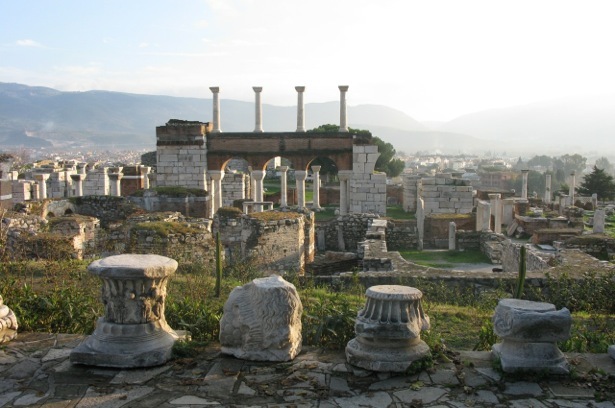 After lunch, we will travel to Sardes (Revelation 3:1-6), the ancient capital of the Lydians. Then we will continue on to Alasehir where the ancient church of Philadelphia is located (Revelation 3:7-13). For our final day, we will visit Hierapolis and Pamukkale (the “Cotton Castle”) one of Turkey’s most spectacular sites. 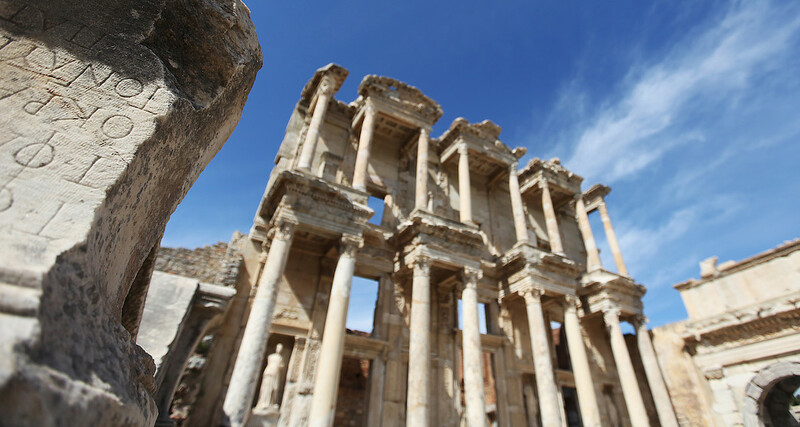 We will then visit Eskihisar, the ancient city of Laodicea (Revelation 3:14-22) After lunch, we will continue on to Izmir where you can catch your flight to your next adventure!